You guys! I have ANOTHER amazing hybrid fitted cloth diaper I think you are gonna love! Boogie Bear Creations are made by Melissa Boisvert, a Vermont-based work-at-home-mom of 4! My friend Abbie was kind enough to try this diaper out on her daughter Trixie. She was very impressed to say the least! 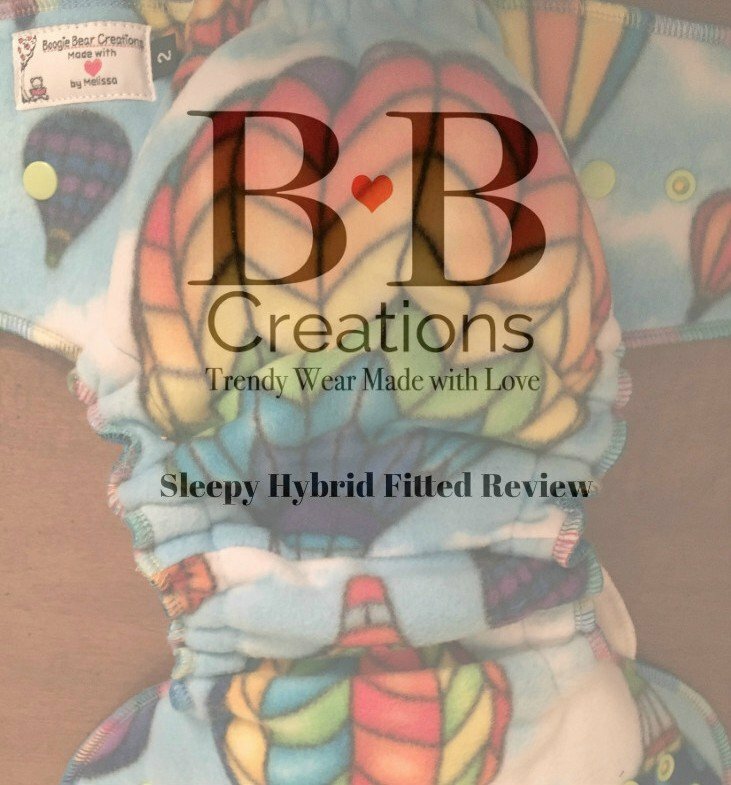 Abbie received a Boogie Bear Creations size 2 fleece “Sleepy” nighttime diaper with an additional booster. Melissa from Boogie Bear Creations also included a stay dry liner, a wipe and body butter, which could be used as a cloth diaper safe bum cream. Products were received for review purposes. All opinions and statements made are honest and true. This print is a custom that was made in the BB Creations Custom Studio, Boogie Bear Creations’ group on Facebook. In addition to the Fleece ‘Sleepy’ Extended Wear Hybrid Fitted Abbie received, group members can create and purchase custom hybrid fitted cloth diapers in newborn, size 1 (10-20 lbs), and size 2 (15-35 lbs) as well as custom undies, raglan tees, shorties, camisole tops for kids, and more! Right out of the package, this diaper looked impressive. It did have a bulky feel to it with all the inserts snapped inside. Although that is pretty typical of fitteds that are intended for nighttime use. The diaper and the inserts are exceptionally well-made. It is obviously that serious time and effort has gone into making them. Until now, I have always been a bit skeptical of using a fleece diaper. So as lovely as the diaper looked, I was unsure that it could actually hold up as a nighttime diaper. We got the diaper on March 11. Trixie is long and lean. She just turned 2 in March and weighs 25 lbs. She was probably 23 lbs and was still wearing 18 month clothes. She’s now wearing 24 month clothing but some pants are still very big in the waist. This diaper has no traditional rise settings. Instead there is a unique closure of two rows of waist snaps which are also used to adjust the rise. Melissa, the owner of Boogie Bear Creations, calls the closure a Double Snap Rise. It allows a good fit from approximately 15-35 pounds. The top row is for bigger babies and the lower row is for smaller ones. Here’s a quick video Melissa made to demonstrate how to get a good fit. Trixie is still on the lower row of waist snaps and the flaps overlap just enough for one snap. There is plenty of room to grow in this diaper. The Boogie Bear Creations Sleepy Diaper appears to be bulletproof. 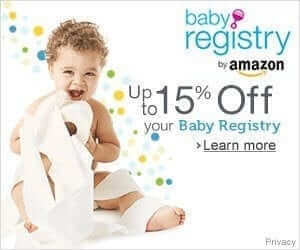 We have been using it in our nighttime diaper rotation consistently since we got it. It is now one of my go-to night diapers. We also sometimes use it for naps. But I prefer it for night simply because it hasn’t leaked at all. I usually put a wool cover over it, but honestly, with all the inserts inside and the hidden windpro fleece layer, I think you could easily get away without a cover. I just do it out of habit. After two months of solid use, there is no pilling, none of the stitching has come undone, and the colors are still bright. 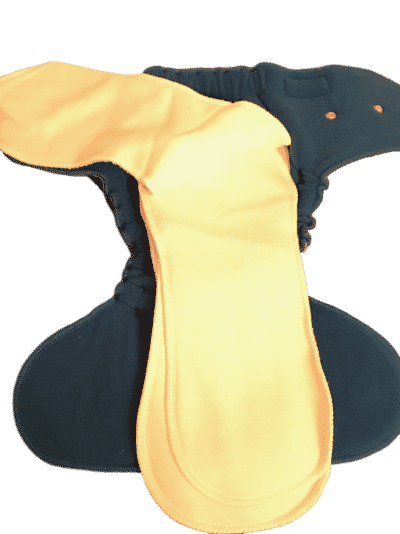 I love the inserts because you can either add them all or change the number to adjust based on how much absorbency you need. You can find your own Boogie Bear Creations Cloth Diaper in their BB Creations Custom Studio on Facebook! 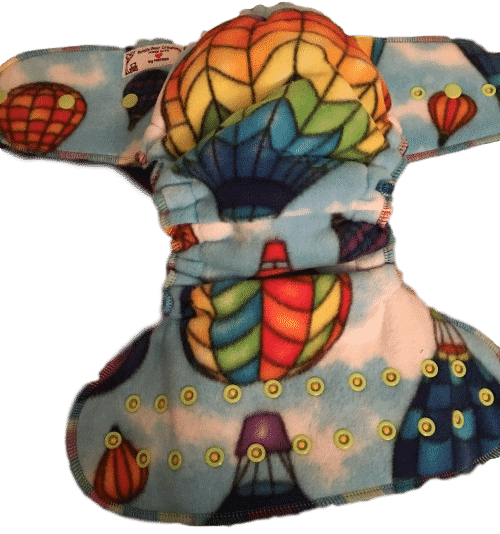 I’d love to hear from you if you have ever used Boogie Bear Creations cloth diapers! What did you think of them? Check out this HUGE sale on custom cloth diapers and clothing! Thank you for the review. I love to read reviews before I purchase new products. This makes new NEED one!!! I’ve heard a lot of good things about BBC nappies and this review just makes me all the more excited to try one. My daughter is only a little over a week old and will probably not fit into the nappies just yet but im excited to be able to try one out. BBC is a game changer for me in the cd world! Love it!!! These look comfy and leak proof! I have not tried them yet! My first time hearing about them was just now on your giveaway post! But with 2 in cloth I would love to give them a try! Wow. These diapers look awesome! I have not tried these diapers but they have great reviews… I will have to check these out as they seem to be a great diaper! Love that they are made of fleece…. and they are super cute ! I’d have to agree with the post. It’s our bulletproof night time diaper. My husband, who is the designated diaper changer at night, WILL NOT use any other diaper than BBC Sleepy on our 1 year old girl and 2 month old boy – he said it helps him sleep better at night as he doesn’t need to change and there are no leaks. We’ve been using BBC nappies (both sleepy and daytime) since last year and I must say this is a brand I’m sticking to. 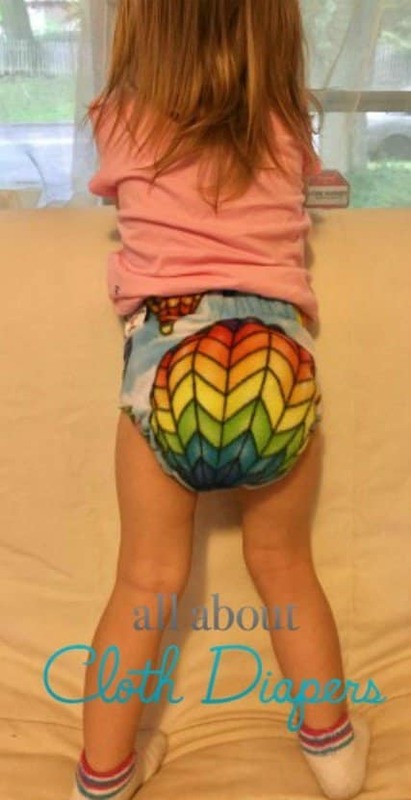 I love my kids Boogie Bear Creations diapers!! I have been using them on my twins, then my next two babies for over 4 years and they are my go to brand!! 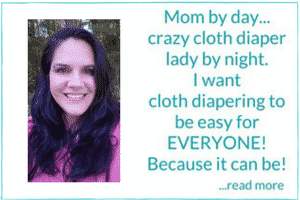 The Daydreamer diapers are just as amazing as the Sleepy diapers too!! I use these on my 2 year old and 10 month old all the way over in the UK. I started using this brand in 2015 and have since sold all of my other Cloth in favour of Boogie Bear Creations. I find them a fail safe option and my daughter (2 year old) loves them and is enjoying her transition to undies too. Pssst.. my husband is even on board with this brand lol ?